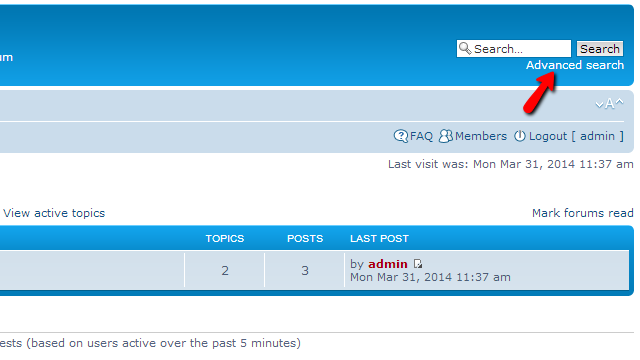 The Search feature of the phpBB platform allows you to easily search the posts in your forum and also it provides you with large amount of search options which we will review in the following lines of this tutorial. 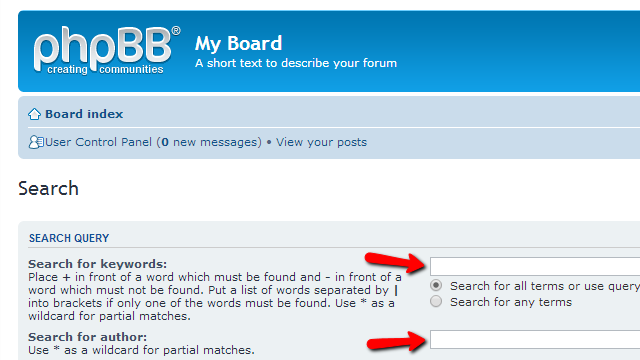 The basic search will allow you to specify a single key word and the platform will automatically run this key word for matches against all of the posts you have on your Board. 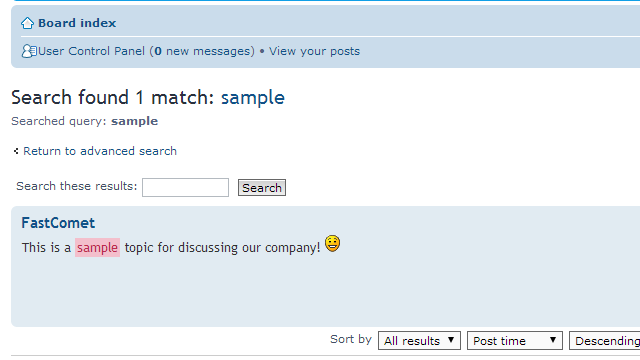 The Search box will be presented at the top right corner of your board once you login in the frontend of the board. The so called Simple Search can be used by directly using the keyword you would like to search for in the Search box without any other settings for the search. The Advanced Search feature allows you to specify concrete search criteria so the search can be more accurate and present only the most related results. In order to use the Advanced Search feature you will need to simply click on the Advanced Search link located bellow the search box. This link will direct you to the Search page where you will notice few sections of searching options. The first one is called Search Query and there you will need to enter the keyword you will be searching for and/or the author of the post you are searching for. The next section of options is called Search Options and it contains the advanced search criteria you will need to select as options. First in the list of options is the Search in Forums options where you will need to select the concrete forum you would like to search for the above entered keyword. 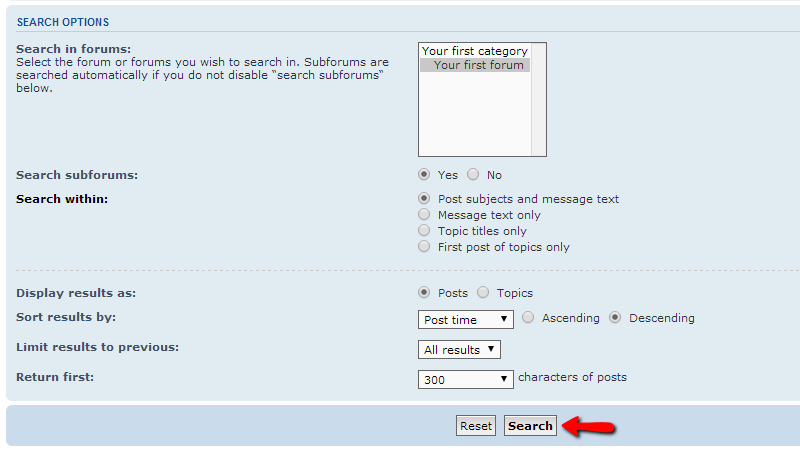 Next you will find the options Search subforums and Search within which will allow you to search also the subforums for the keyword and also to specify more concrete the searched contents such as message, topics or posts only. Last in the list you will be able to locate the options for how the results should be displayed. These are quite intuitive and you should be able to easily configure them. Once you are done with the settings of the search options you should click the Search button so the search can begin. Depending on the options you have selected and the amount of searched contents the search process can take a while. Once the search is finished you will be presented with a list of the found entries as posts. That is all! 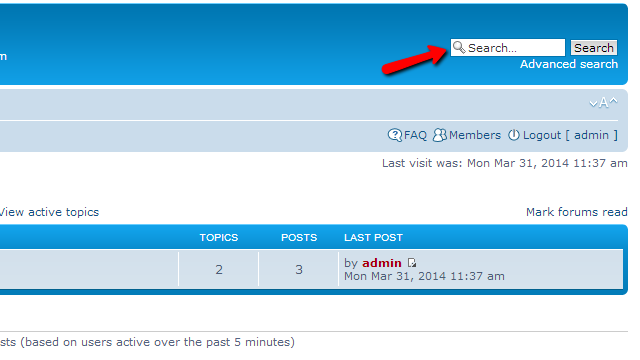 You now know how to use the Search feature of the phpBB platform!